An Ethipreneur® is an ethical entrepreneur who runs a purpose-built, socially responsible business (or works in one). It is a term coined by us here at Ethically Creative and is a trademark to describe those who we admire. Have you got what it takes to become an Ethipreneur? 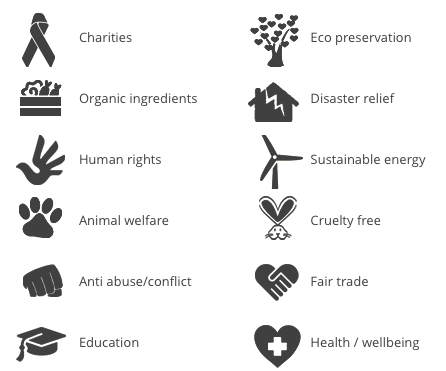 You are either an amazing ethical business or an amazing charity. In both cases, you’re making a difference to the world. At Ethically Creative, we embrace any individual, business or organisation who is making a difference, big or small. We feel so honoured to work with such a wonderful community of Ethipreneurs. Together, let’s make the world a better place! This entry was posted in Behind The Scenes, Business.